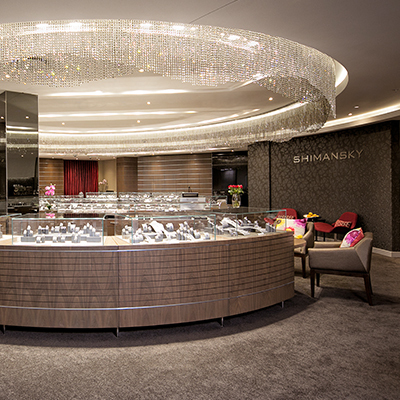 The Shimansky Diamond Experience and Jewellery Showroom offer a unique activity for local and international guests. It is conveniently situated in the Clock Tower Precinct at Cape Town’s famous V&A Waterfront, set against the backdrop of the majestic Table Mountain. 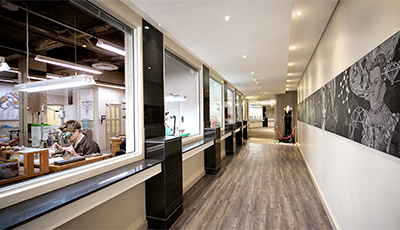 Following a decade of success at the Clock Tower, the Shimansky Cape Town Showroom underwent a major revamp in 2011 with the relocation of its jewellery showroom, diamond cutting and polishing factory and jewellery manufacturing workshop to the Clock Tower, Waterfront. 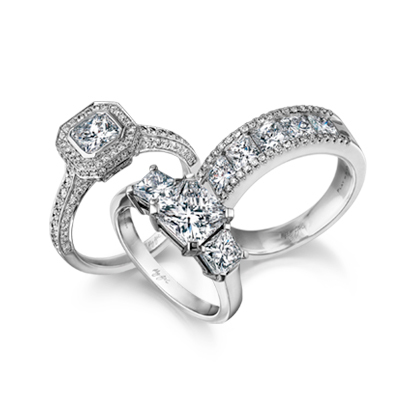 Shimansky is not only recognized for beautiful jewellery designs and incomparable quality engagement rings, but also for our superior craftsmen. The Shimansky Diamond Experience employs a team of experts in all fields of architecture, shopping, fitting and interior design. With CEO and founder, Yair Shimansky, at the helm of his office located inside the diamond and Tanzanite jewellery showroom. 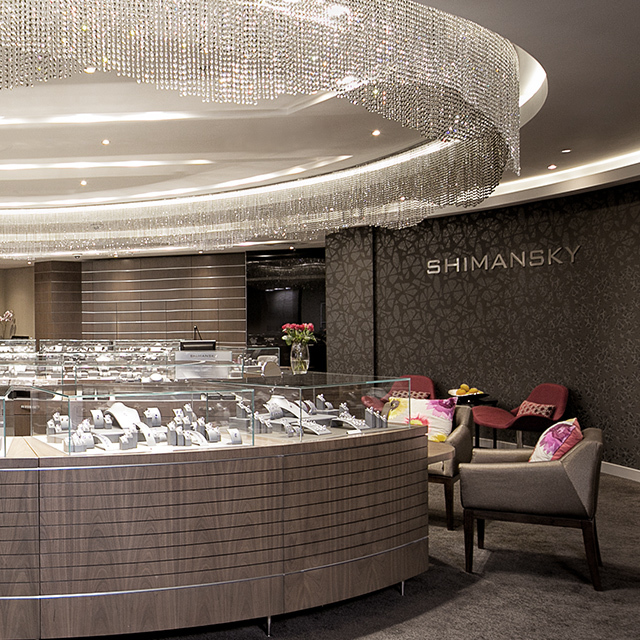 Discover beautiful platinum and gold jewellery at Cape Town Waterfront at the Shimansky Diamond Jewellery Showroom. 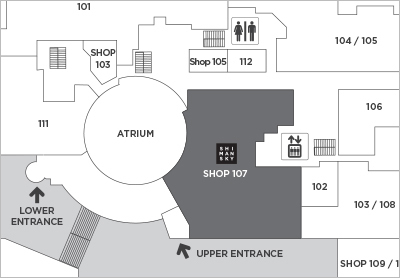 Every aspect of the Shimansky Showroom was designed with the vision of creating a unique jewellery buying experience in the comfort of a luxurious environment. Plush furnishings and elegant surroundings lined with timeless diamond and Tanzanite jewellery collections and exquisite engagement rings are just a taste of what one can expect. 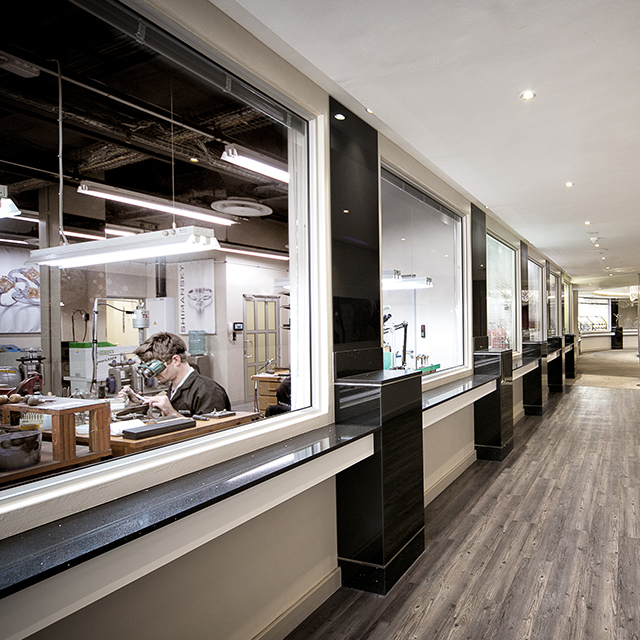 Diamond cutting and polishing, jewellery manufacturing, a wine and coffee bar serving local South African wines and the best cappuccinos in Cape Town, complete the Clock Tower Showroom. 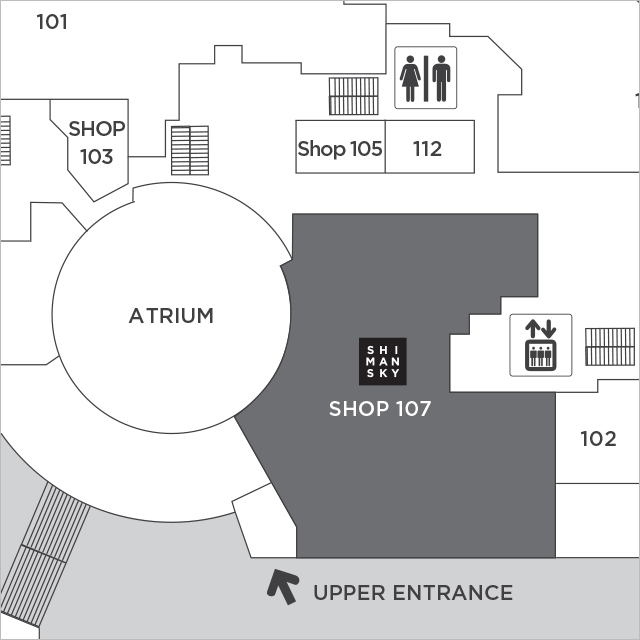 We look forward to welcoming you to the Shimansky Diamond Experience at the Clock Tower, Waterfront (Cape Town).